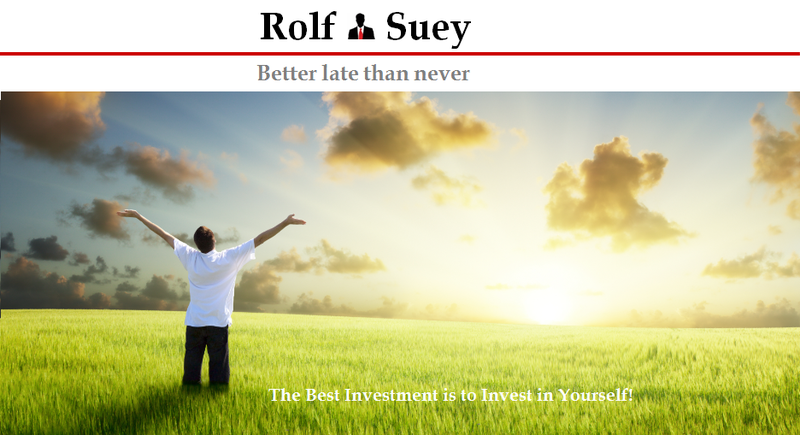 Rolf Suey - Better Late Than Never: Ray Dalio - The Man Behind The Economic Machine! Ray Dalio is the founder of one of the largest macro hedge fund firm Bridgewater Associates which has approx. US$169 billions today. The company serves institutional clients including pension funds, endowments, foundations, foreign governments and central banks, rather than private investors. Dalio encourages employees to do "whatever it takes to make the company great" and emphasizes transparency and openness in its decision making processes. All meetings are recorded and can be viewed by any employee, as long as the meeting topic is not proprietary. 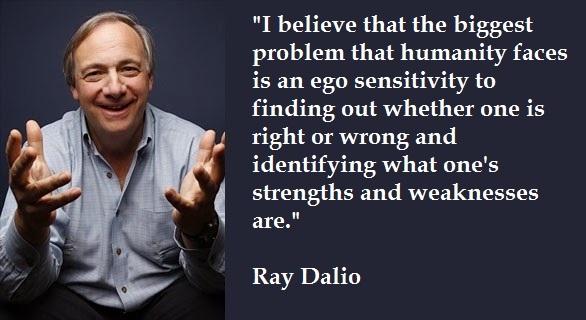 Dalio company’s culture, at a glance suit me a lot. I love transparency in speech “in an intelligent and non-egoistical manner”, in expressing what I truly belief and yet constantly accepting constructive comments for things that are beneficial to onself – Absorb, Adapt and Accelerate! Akin to writing a blog, transparency attracts criticism, debates, attacks on specifics etc. That said, as far as I am concern, this is how we learn! However transparency must not mean insults, criticisms filled with anger, or just to satisfy one’s big ego in an irresponsible way. Transparency will not tolerate ulterior motive with aim of benefit oneself at the expense of others too! “Do not believe in anything and now THINK FOR YOURSELF about what is true together, but we cannot start that with ego, we can’t let that barriers stand in our way, so we going to live in a culture to which we can do that!...Now that is the opposite....It is a belief system, in other words, I will ask you do you believe that we should operate this way with each other...It is the opposite of Cult...It means Think, Speak up, Don't Hide it, Don't talk behind people's back..."
I am going to read the 123 page handbook next! “Think for yourself – to decide 1) what you want, 2) what is true and 3) what to do about it. …No ego!”. I simply quite love it (yes that's me, the self-believer!). Then I will drop my ego, drop the generation gap, drop my “pants even” (haha) and fail, then acknowledge my mistakes, and start learning from each other! Fail, Learn and Forward Faster! I watched the video and it is a simple and individualistic way of defining Economy. For all we know, an economy is of course not as simplistic as it is showcased here. Nonetheless, in my opinion, it is very interesting and commendable on the effort. It does not matter if it is absolutely correct or not, or if I think it is correct or wrong! It is the thoughts running through “My Own Mind” that counts! Thank you, Rolf, for sharing this good reminder on never forgetting to think for ourselves. Unfortunately thinking is more exhausting than sensing or following one's intuition. With complex matters, though, such as investment decisions, reflection is indispensable. Evolution has not equipped us with the right intuition for such considerations, here logic trumps intuition.